Discussion of vermicompost bins: commercial black plastic, cinderblock sides and straw/hay bale sides. Pros and cons of each, Kerr Center experience, and discussion of how to manage the worms. 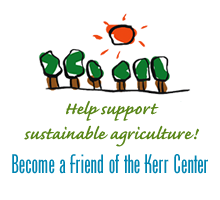 Learn how to make compost with Luke Freeman at the Kerr Center. Composting with earthworms– the basics. Consultant Luke Freeman explains how vermicomposting works and details of the Kerr Center project. 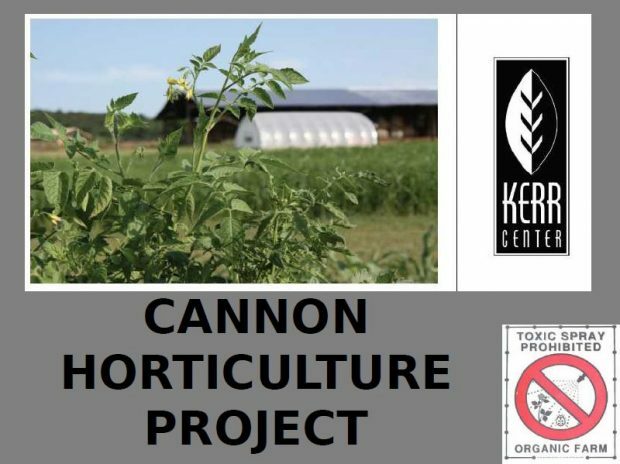 The center’s Canon Organic Horticulture Project uses vermicompost in its soil building program. Also featuring Kerr Center intern Jon Pollnow. 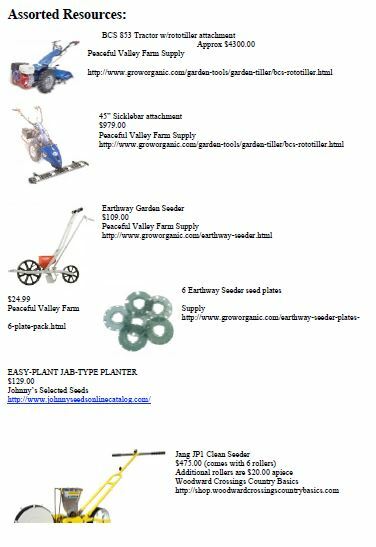 This handout lists various supplies and equipment used in the Kerr Center’s organic horticulture program. 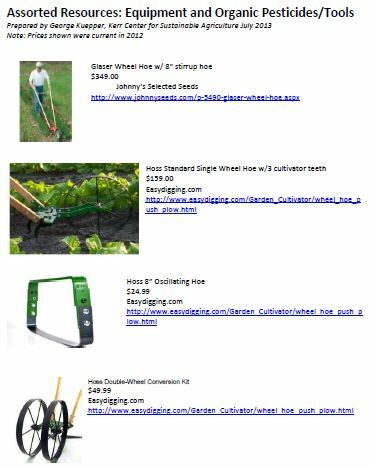 This handout lists, for several different vegetable crops: irrigation frequency, critical moisture period(s), rooting depth, and potential defects. 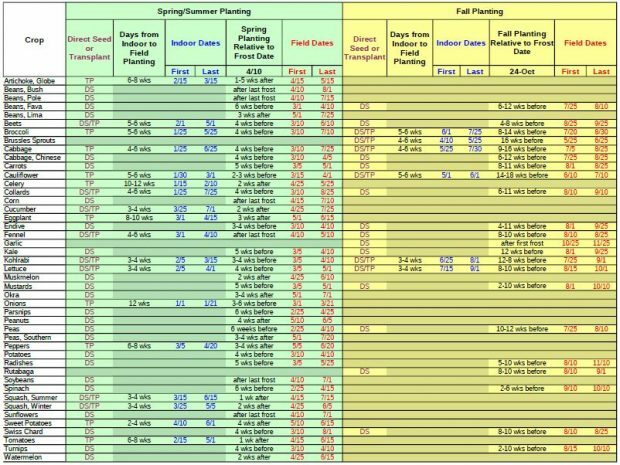 This handout shows seeding and transplanting dates for a variety of vegetable crops. This handout maps the Cannon Horticulture Plots, as well as the field within them where the 2013 warm-season cover crop trial was conducted. 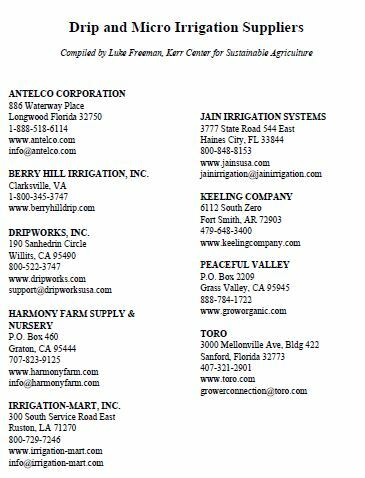 This handout lists contact information for several commercial suppliers of drip and micro irrigation equipment. 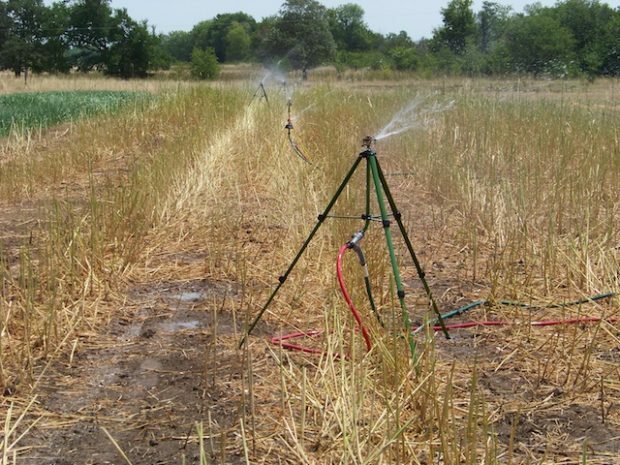 This fact sheet describes how to eliminate bermudagrass from future vegetable fields using a sorghum-sudangrass cover crop. This presentation discusses the composting options for fertility in market farming/gardening. This presentation discusses the management of soil fertility under organic regulations. This handout discusses points to consider when blending organic fertilizers. It contains several tables of nutrient contents of different organic fertilizers. 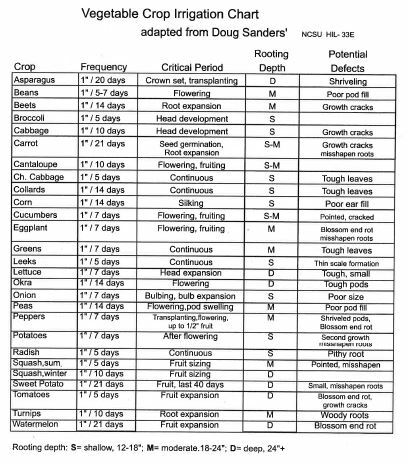 This handout includes a table of different compost feedstocks and their approximate carbon-to-nitrogen ratios.